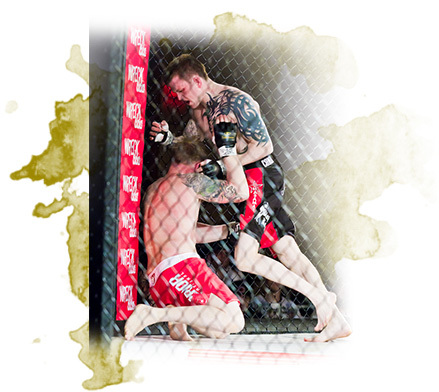 Kru Jeff Harrison has been involved in combat athletics since 1998. After beginning with Judo and submission wrestling, his training in Muay Thai began under Canadian Thai boxing coaching great Kru Chris Kew. Jeff began fighting in 2000, then began coaching in 2001. Kru Jeff’s Muay Thai fighting career has seen ~50 sanctioned fights and has taken him across North America, Brazil, Thailand, Mexico and Europe. 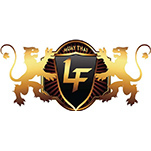 Jeff has won titles in Muay Thai and coached fighters to over 130 championship belts. 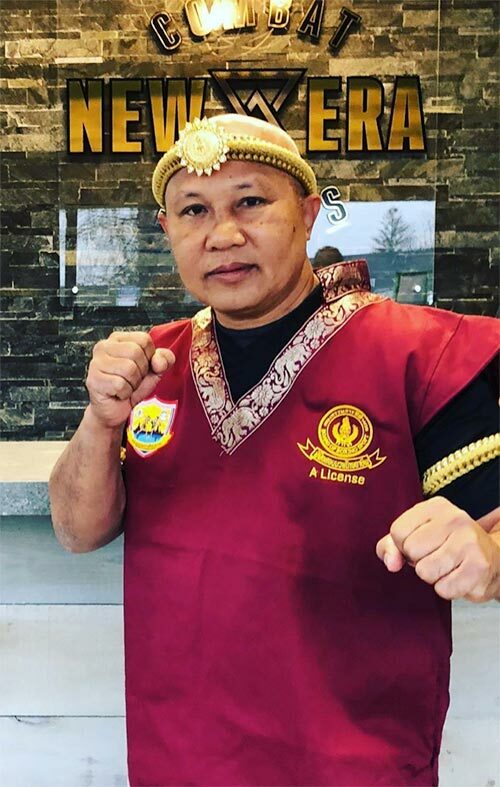 Jeff was Ajahn Burklerk Pinsinshai’s first North American student and has spent countless hours with the Muay Thai living legend; learning, living and readying himself for competition in Canada and throughout Thailand. Our Head Instructor has also worked with many boxing, wrestling, MMA, Muay Thai and kickboxing coaches all over the world. Jeff has trained in Brazilian jiu-jitsu for over 15 years, and has worked with many of the best trainers and athletes that the world has to offer. 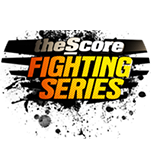 He has cornered countless fights — from muay thai “smokers,” to coaching in-front of sold out arenas at large promotions like TKO, ECC, Bellator, The Score Fighting Series and the UFC. He is regarded as a top-shelf Canadian muay thai and MMA coach. Kru Jeff puts his passion and love for the art of muay thai and MMA into every single class he conducts, and gives his all for each one of New Era Combat Sport’s members. Before turning his focus to coaching other athletes, Jeff Harrison maintained a 10-year professional MMA career. Professor Peter Fazekas discovered Brazilian Jiu Jitsu at the age of fifteen. At sixteen, he immersed himself into competition in both BJJ and Submission Wrestling, it was common to see Peter competing in adult divisions as a teenager. He frequented NAGA, Grapplers Quest and IBJJF circuits in the United States and Brazil. At 18 years old he began his journey as an instructor. After competing consistently from white to purple belt level he took a break from competition and focused strictly on teaching. In December of 2014 Peter was awarded his black belt. Peter not only works with adults but has been teaching children Brazilian Jiu Jitsu for many years. He is a proud father of two little boys who he is excited to see be a part of our Junior Brazilian Jiu Jitsu Team. Peter has had the privilege to train with many top MMA fighters and BJJ Champions such as Renzo Gracie, Carlos Gracie Jr, Igor Gracie, Rolles Gracie Jr, Gregor Gracie, Roger Gracie, Rafael Gordo, Marcio Feitosa, John Danaher, Braulio Estima, Shawn Williams, Garry Tonon and Ricardo Almeida. Peter has had the privilidge to train with many top MMA fighters and BJJ Champions such as Renzo Gracie, Igor Gracie, Rolles Gracie Jr, Gregor Gracie, Roger Gracie, Rafael Gordo, Marcio Feitosa, John Danaher, Braulio Estima, Shawn Williams and Ricardo Almeida. With over eleven years of teaching Peter has a wealth of knowledge and experience to bring to the mats at New Era. He thoroughly enjoys working with everybody from the beginning hobbyist to the professional mixed martial artist. Peter knows how to specialize training for each individual’s needs and will always help them achieve their goals in Martial Arts. Peter has also trained some of Canada’s top mixed martial artists in their ground games during their training camps. With over eleven years of teaching Peter has a wealth of knowledge and experience to bring to the mats at New Era. He thoroughly enjoys working with everybody from the beginning hobbyist to the professional mixed martial artist. Peter knows how to specialize training for each individual’s needs and will always help them achieve their goals in Martial Arts. Peter has worked with some of Canada’s top mixed martial artists in their ground games during their training camps and is extremely excited to be working with Kru Jeff to take our MMA team to the next level. Robert “The White Dragon” Thomas is one of the best kickboxing sensations in North America. Having competed in amateur & professional muay thai, kickboxing, boxing and MMA since the ripe age of 14, Rob has amassed quite the resumé. Now joining New Era at 25 years old, the Cambridge, Ontario native is no stranger to training with the best around the world. Some of his previous & current coaches include: Kru Chris Kew, former GLORY Champion “Bazooka” Joe Valtellini, boxing legend Syd Vanderpool, and our very own Kru Jeff Harrison, as well as some training time at the famed Kaewsamrit Gym in Thailand. Rob has fought some of the best in the world including the #1 ranked Middleweight kickboxer (in his first ever GLORY fight) at just 20 years old. To say we are pleased to have Rob on our teaching staff is an understatement! You won’t find a better striker in Ottawa—period. Dave is a Sasiprapa vet with lots of professional & amateur fighting experience. He has travelled all around Thailand and North America and brings a very authentic and passionate approach to the team. Dave has taught Muay Thai for 6+ years and has taught every level. Dave can be seen running any kind of class at New Era whether it be kids Muay Thai, KinetiX fitness, boxing, or pro training. He is considered to be one of the best pad holders around and is often found giving extra help to those interested before & after class time. Dave lives and breathes Muay Thai. You will be hard pressed to find somebody who has the same genuine passion for the sport. Dave became a certified Kru on January 19, 2019. Mateo “Carrapato” Vogel has been a student of the game of competitive Brazilian Jiu jitsu since age 14. Mateo has been involved in the highest levels of tournaments and is a multiple time champion in his weight class as well as absolute (open weight). Mateo has a wealth of knowledge despite of his young age, and was also a former competitive wrestler. When he is not training for professional MMA competition, Mateo looks forward to assisting our junior team as well as our adults as Professor Pete’s assistant instructor. Mateo Vogel demonstrates an arm bar submission technique on fellow instructor, Peter Fazekas, in one of New Era’s brazilian jiu jitsu classes. Matthew began his Brazilian Jiu-Jitsu journey under Professor Peter Fazekas in 2011. After moving to British Columbia in 2013, he continued his studies under the Gracie Barra Association and then with Professor Filip Matos of Roll Jiu-Jitsu Academy in North Vancouver. While at Roll Academy, Matthew served as instructor to their Beginners BJJ program and was awarded his purple belt under Professor Filip Matos in February of 2017. Matthew teaches our adults & kids BJJ classes. Returning to Ottawa in 2018, Matthew resumed his studies under Professor Peter Fazekas at New Era Combat Sports. Always seeking to improve his understanding of Jiu-Jitsu both technically and conceptually, Matthew has had the pleasure of training with notable instructors and World Champions such as Saulo Ribeiro, Vinicius ‘Draculino’ Magalhaes, Flavio Almeida, Bibiano Fernandes, Edwin Najmi, Thomas Oyarzún, and Josh Hinger. In August of 2014, Matthew, with the help of two of his Gracie Barra teammates, subdued a man attacking a woman on the streets of Vancouver. Matthew and the others (with the help of jiu-jitsu) grabbed the man, pulled him into the street, and restrained him until the authorities arrived. The video & article were published on CTV News and Matthew was called a “hero” by members of the Vancouver Police. Jason possesses something not many others in the world (not to mention Canada) do…5 black belts. 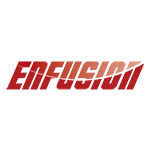 Jason has 36+ years of martial arts experience and has ran his own facilities in the past. Jason is a very valuable part of our MMA program and is often seen running our BJJ classes. With Jason on the New Era team, our amateur & professional fighters always have an answer to a martial arts problem. He is the man with all of the answers on the ground! When Kristy is not being a supermom to 3, or training for a fight, she can be found teaching our Junior Muay Thai Program or giving private lessons. Kristy is a dedicated practitioner of multiple martial arts and is always striving to get better. Striving to learn more. Kristy brings an energy level to the mats that equals (or exceeds) that of any child. The students truly thrive off of it. She has coached many other sports to young kids in the past including softball, soccer, and basketball as well as being a competitive athlete most of her life. She plays a pivotal role in helping the junior team not only with Muay Thai, but life itself. Kolby Brindle, with the help of younger brother Cooper, instructs our Junior Muay Thai Program at New Era Combat Sports. At the young age of only 17, Kolby already has plenty of experience inside the ring. Merging fun & games with authentic Muay Thai, Kolby knows how to find the balance. Having been to Thailand several times, Kolby will show the kids valuable life & Muay Thai lessons that he has been brought up learning himself. Kolby also helps run our After School Program. Kolby is a grade 12 student and is a phenomenal role model to all our young boys & girls. Ajahn Burklerk is widely regarded as one of the smartest tacticians to ever lace up the gloves. A former two time Lumpinee Champion and Thailand Champion with an unrivalled record of 172 wins and 6 losses at the highest level of competition. 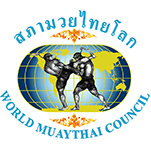 He is a notable all time great, and the highest level of Master certified by the Thai boxing Authority of Thailand. 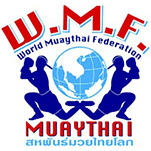 Master Burklerk visits New Era yearly and helps lead the Muay Thai program with Kru Jeff. The two of them go back 15 years! New Era Combat Sports is the only gym in Canada associated with Burklerk. Record of 172-6 with 5 of those losses as a very young man. START YOUR MEMBERSHIP AND GET SUPPLIED IN OUR GEAR SHOP AT BOTH OF OUR LOCATIONS: 10 CAMELOT DRIVE AND 329 MARCH ROAD.